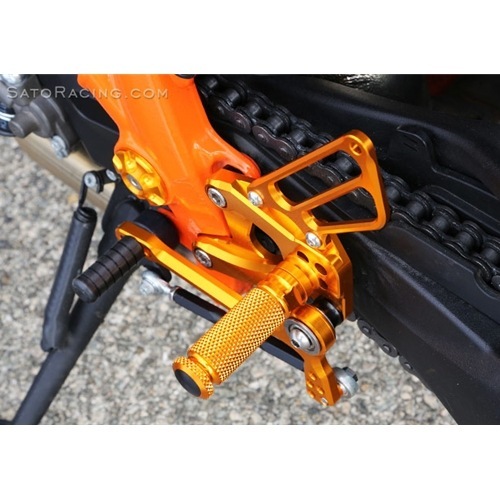 SATO RACING Rear Sets for the 2016-2018 KTM 1290 Super Duke GT are made of tough CNC-machined billet aluminum. Anodized BLACK or GOLD. 4 adjustable peg positions allow you to position your feet high than stock rear sets.